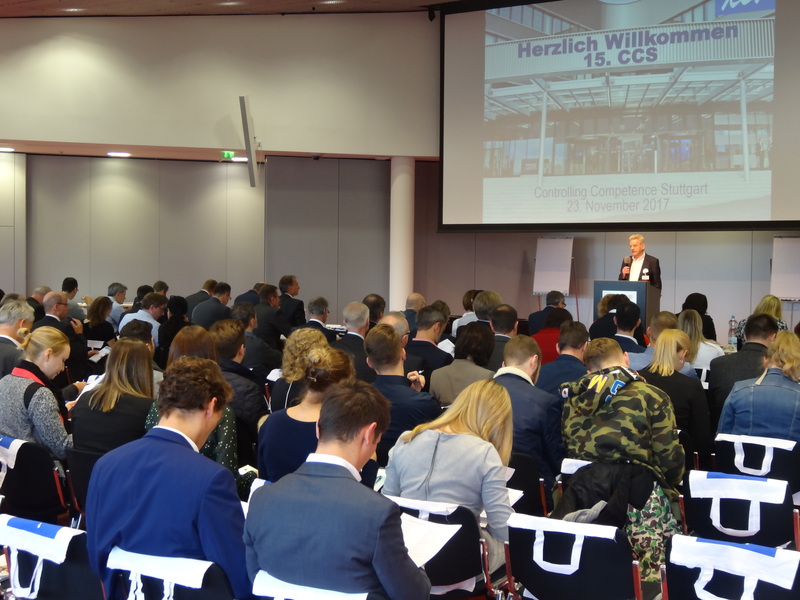 The ICV Autumn Conference in southern Germany, CCS Controlling Competence Stuttgart, took place on November 23. The ICV CEO Siegfried Gänßlen opened punctually at 12 noon. The first speaker started soon after him: Jens Ropers from the CA Controller Akademie reported on a major event dating about 200 years back: Waterloo. How this ended for Napoleon, we all know. But what does it have to do with controlling? Ropers showed in an exciting speech. Conclusion: “Prepare yourself for the VUCA world and avoid your personal Waterloo,” concludes Jens Ropers. CFO von BLANCO, Hersteller von Spülen und Armaturen, spricht bei der CCS 2017 über die Preisfindung in einer agilen und digitalen Welt. The second lecture at CCS Controlling Competence Stuttgart goes right into the heart of corporate practice. 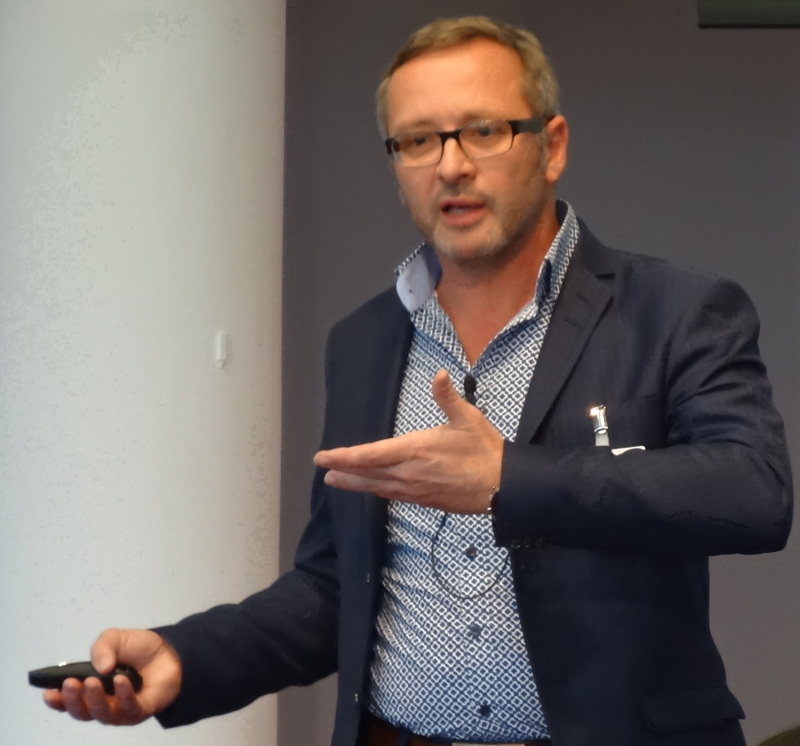 The speaker is Rüdiger Böhle, CFO of the BLANCO Group – a manufacturer of sinks and fittings. The head office is in Oberderdingen, Germany. However, 65% of sales are generated abroad (as of 2016). 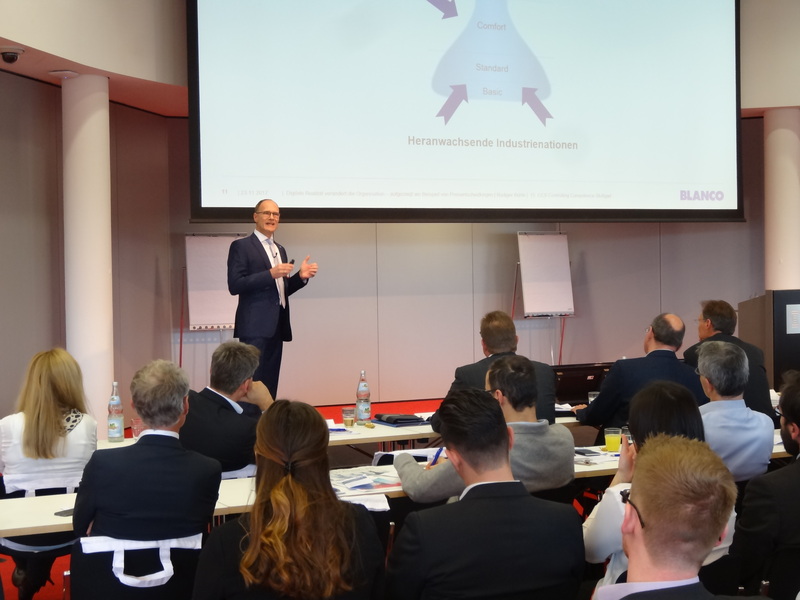 In his lecture, Rüdiger Böhle shows what influences the pricing decision in today’s agile and digitalized business world – and how these reflect back into the infrastructure of a company. Summarizing: a lecture on changing markets, causes and effects, the market participants in a digitalized world and the price pressure that comes with it, as well as decision-making processes that have to fulfill a multitude of requirements (across functions, countries and hierarchies) – “and all that fast!” – it says the experienced CFO, who knows, which challenges arise also for controlling. Karin Schönwetter, Director of IBM Global Financing DACH, über zukünftige Geschäftsmodelle, die aus der Digitalisierung erwachsen. “Digital is already natural,” says Karin Schönwetter, the third speaker at CCS 2017. She is Director of Global Financing DACH at IBM. Advanced intelligence is already set for further developments in the economic sector. That’s why Karin Schönwetter thinks today about the effects of these facts, which extend to some interaction – between companies and customers as well as within the company: in the interaction with employees and between employees alike. For Karin Schönwetter, it is therefore clear that entrepreneurs have to answer another important question: What will be our business model of the future. Does this model take these changes into account? “One of the key topics that we are currently discussing with our customers”. 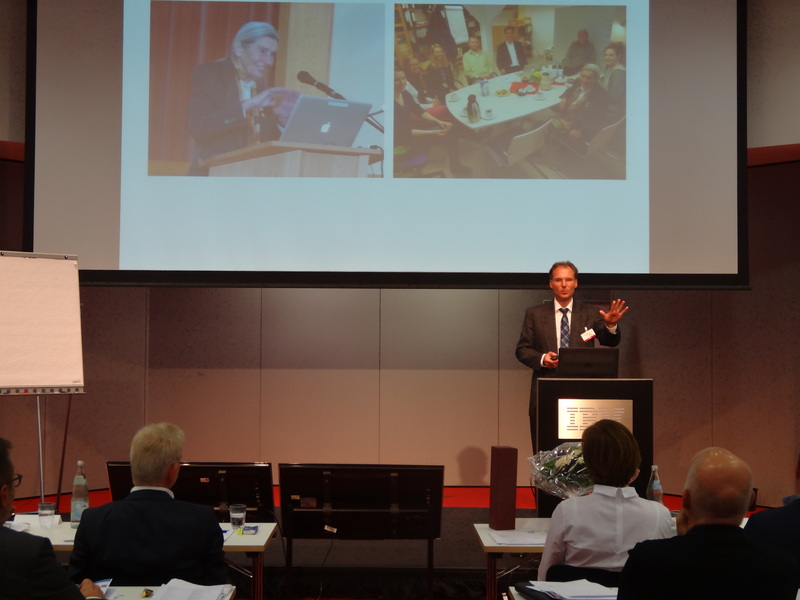 This and other insights into the status quo and the future are provided by the speaker to the participants of the Controlling Competence Stuttgart 2017. 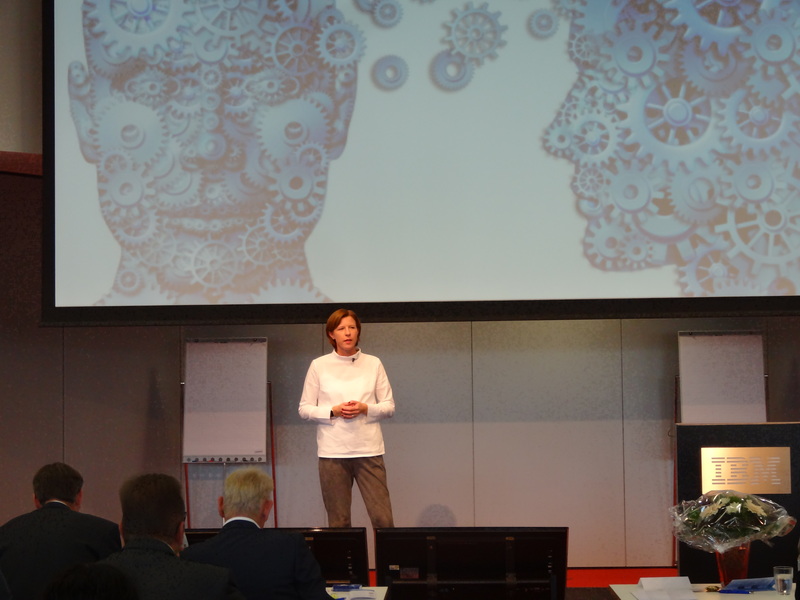 Most important for Karin Schönwetter is one thing: “The business models of the future are always about people AND machines. Cognitive systems can help with decisions – but they do not take them away from humans”. She gave system-driven models as examples, taking care of customer wishes, customer complaints and the health of a man. However, it is essential to define political and social framework conditions when it comes to morality and ethics, says Schönwetter, who had to answer many questions following her presentation. She called for discussing current developments, regardless of age and gender: “Especially girls, I advise to choose not only previously typical women professions, but also sometimes IT.” After all, at least 10 percent of current careers – especially simple jobs – are lost or taken over by cognitive systems as a result of digitalization. But she also noticed: “Instead 100 percent new jobs will be created”. Dr. med. Jan Vagedes zeigt den Controllern bei der Herbsttagung in Ehningen, wie sie auch in Stress-Situationen ruhig und konzentriert bleiben. Work concentration is one of the modern buzzwords, which puts the strain of the employees in a modern working world to the point. They are often perceived as above average. Dr. med. Jan Vageres, who also takes care of preemies as a pediatrician and “neonatologist”, knows about this situation and its effects. “Especially then it’s important: Keep calm,” he knows. His recommendation is as clear as it is simple: training helps. At the suggestion of the ICV Board Members he started a small four-week study with seven controllers. The results are presented to the guests of the CCS. To summarize, e.g. burnout symptoms and sleep improved. Dr. Vagedes explains to the conference participants also the “biofeedback techniques that allow you to remain calm and focused, even though “the bear is quilting” because” controllers also have a responsibility for self-controlling”. Finally, as a colleague of Dr. med. Vagedes said: “Controllers are as important for the company as the heart for the organism”.